LLDPE Film is an excellent recycling material and is largely used by numerous industries all over the world. We have strong associations with several scrap producers and manufacturers, with the help of which we are able to meet the growing demands of LLDPE Film Scrap in the domestic and international markets. 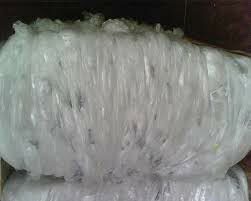 We are a renowned LLDPE Film Scrap Exporter and Supplier from Thailand. We make them available in various grades and specifications. We can process bulk order son request.